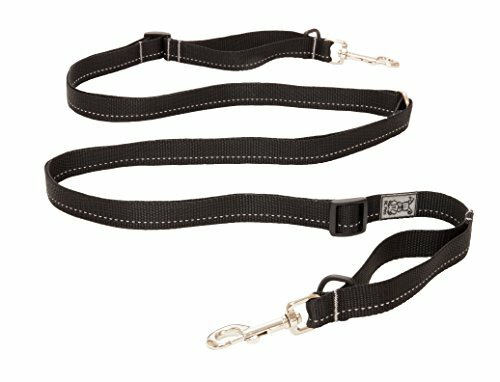 Our Active Leash is a multi-use leash that can be used as a hands free leash. Fits a wide range of waist sizes, and has reflective stitching for safe walking in low light! Matching collars are sold separately, please visit our amazon store to view all selection. All our collars and leashes are proudly made in Canada. Double ended snap hooks and D-ring adjust to create hands free walking, a temporary tie out, coupler or regular leash. Control handle to keep your dog close when needed. Light & Strong nylon webbing in multiple bright colors!